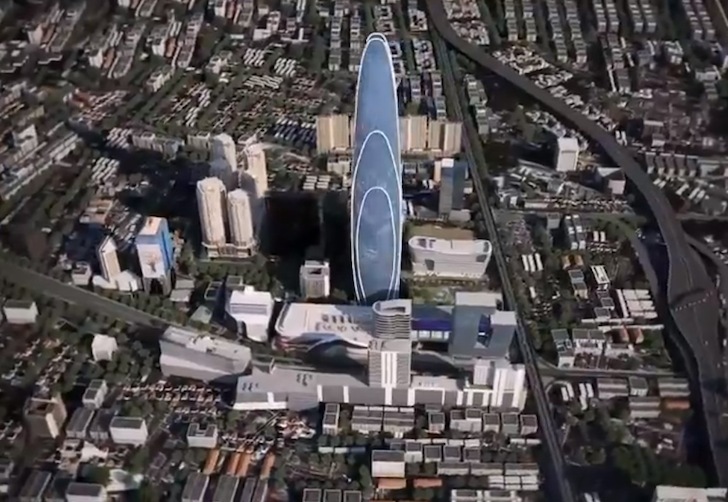 Bangkok will soon be home to the third tallest building in the world. 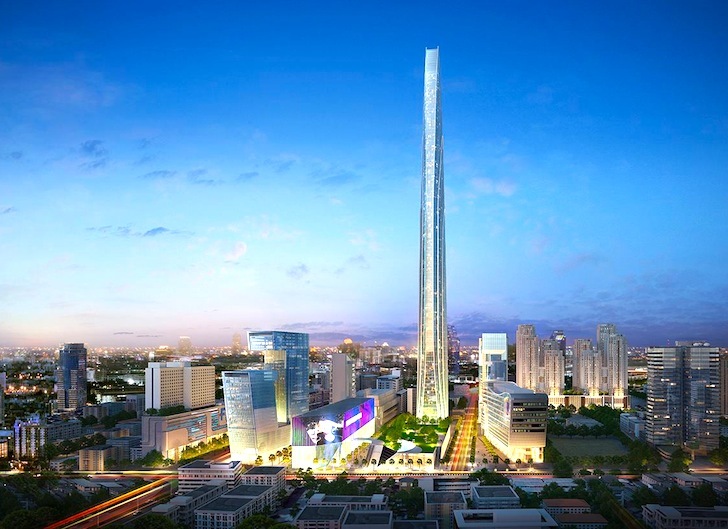 Leading Thai property developer Grand Canal Land Public Company (G Land) recently broke ground on the Rama IX Super Tower project, a 125-story skyscraper measuring over 2,000 feet tall. Designed by Architects 49 Ltd., the $550 million LEED Platinum-seeking building will be developed as part of the Grand Rama 9, the city’s new central business district. The Grand Rama 9 is poised to become one of Bangkok’s most important economic hubs upon completion and will be easily accessible by mass transit. The mixed-use Super Tower will serve as the crowning centerpiece of the development and will comprise premium office spaces, a six-star hotel with 260 rooms, and an observation desk that will boast stunning panoramic views of Bangkok. “This skyscraper is going to be the new landmark of Thailand, a world-class attraction that everyone must visit at least once in their lifetime,” says Yotin Boondicharern, chairman of G Land in a press release with PR Newswire. The Super Tower Project will also seek LEED platinum certification–a distinction held by very few high-rise buildings in Thailand. The energy-efficient building will be clad in insulated glass and be equipped with a highly efficient air conditioning system to maintain constant temperatures. The building’s energy will be partially generated by solar panels and the building grounds will be outfitted with bike-friendly infrastructure. The Super Tower is slated for completion in 2019. Leading Thai property developer Grand Canal Land Public Company (G Land) recently broke ground on the Rama IX Super Tower project, a 125-story skyscraper measuring over 2,000 feet tall. The Super Tower Project will also seek LEED platinum certification--a distinction held by very few high-rise buildings in Thailand.